Survival Cave pork is a great tasting meal that the whole family can enjoy. This pack of 12 cans of high quality pork can provide everyone with the high quality protein they need during difficult situations. You can eat the pork as it is, or cook it into other recipes to provide some variety to your meal plans. Adding these cans of long lasting pork to your emergency food stockpile will help ensure you always have enough meat to keep everyone full and healthy. A healthy tasty meal can go a long way in helping you survive any kind of crisis in life, whether it is managing without food supplies or finding your way back to civilization. Difficult situations require special foods which is why canned pork survival food from Survival Cave is so highly sought after by rescue workers and army men. 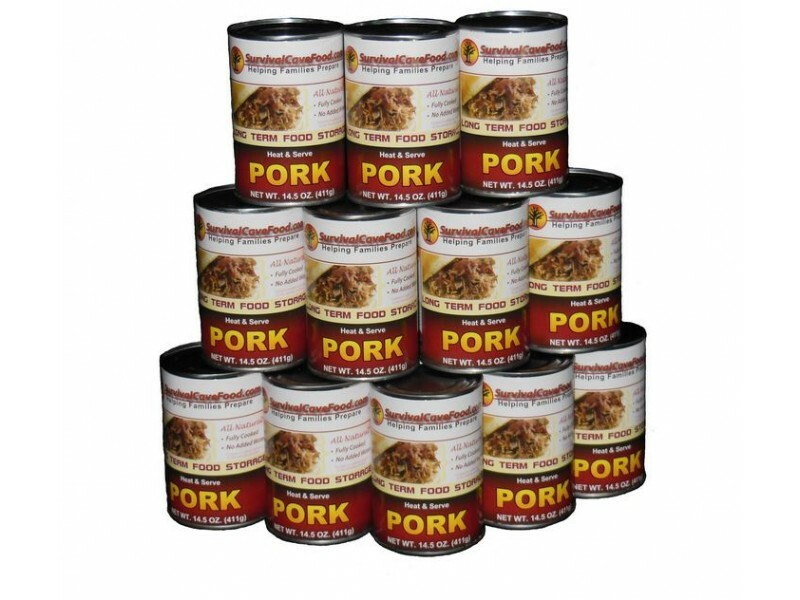 One order of 12 cans pork contains 60 full helpings to help you and your family through any difficult situation for an extended period of time. Survival Cave has been providing quality emergency food supply for more than a decade and has developed a reputation for high quality meat at very affordable prices. At Survival Cave we realize that emergencies do not always provide conditions conducive for cooking. You might be faced with power outage or lack of water which is why our canned pork is completely precooked and comes efficiently packaged to provide you with an excellent ready to eat meal within seconds. 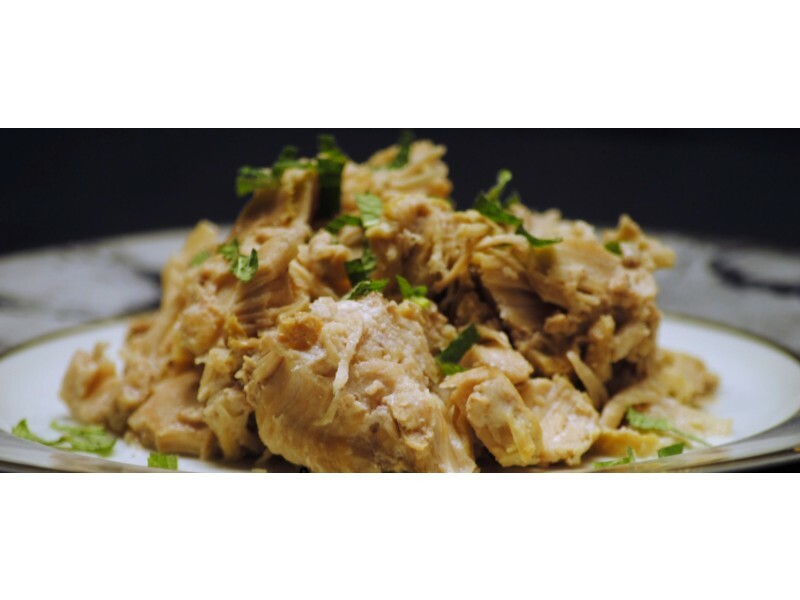 Canned Pork is a high quality protein to take care of the nutrient needs of you and your family for days on end. 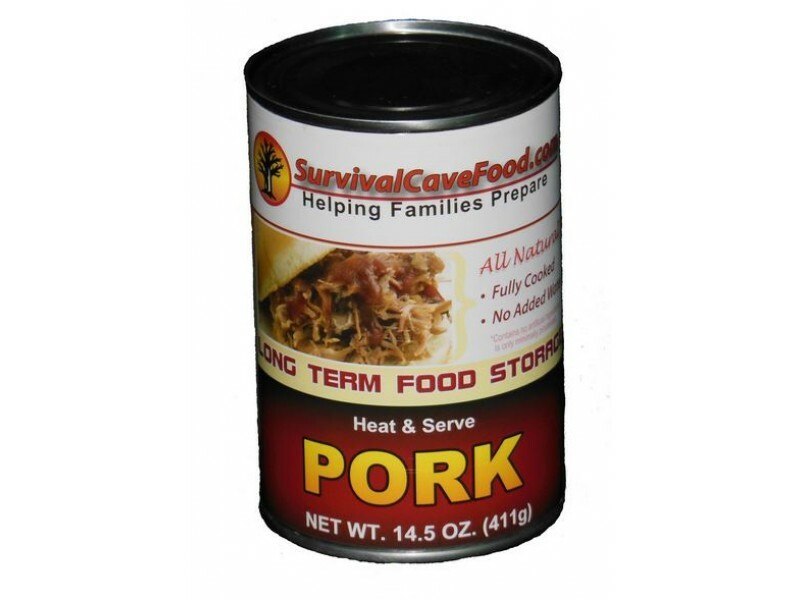 Survival Cave canned pork have a shelf life greater than 15 years, which means you can simply store them without having to worry about having to throw off food once the expiry date is crossed. Open a can of pork emergency food and you can add it to any food recipe to create a variety of delicious tasting dishes. They are extremely portable, which means they can be easily carried in a backpack or as part of a camping kit to ensure you remain well feed deep in the heart of a jungle. 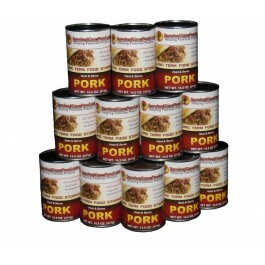 Pre-Cooked Canned Pork survival food not only provides a wholesome meal for the entire family, each can is packed tight so that the food tastes fresh whenever you open it. Enjoy a delicious meal that leave both your taste buds and your stomach satiated with no preparation time and absolutely no cooking time required, and best of all, there is no cleaning up required after eating as well. Order your pre-cooked canned pork emergency food today and you can be rest assured that your family will not want for food in emergencies. A single can of precooked pork provides enough proteins of the highest quality to keep your family healthy and full in good times and bad. You can supplement your existing supplies to add more variety to your emergency food supply or simply stock up on these to ensure there is food for everyone. You will get a total of 12 cans with 14.5 ounces in each and every can, no water or broth added, simply the all-natural juices from the meat. That’s practically 11 pounds of fresh mouthwatering healthy hand packed and cooked meat. 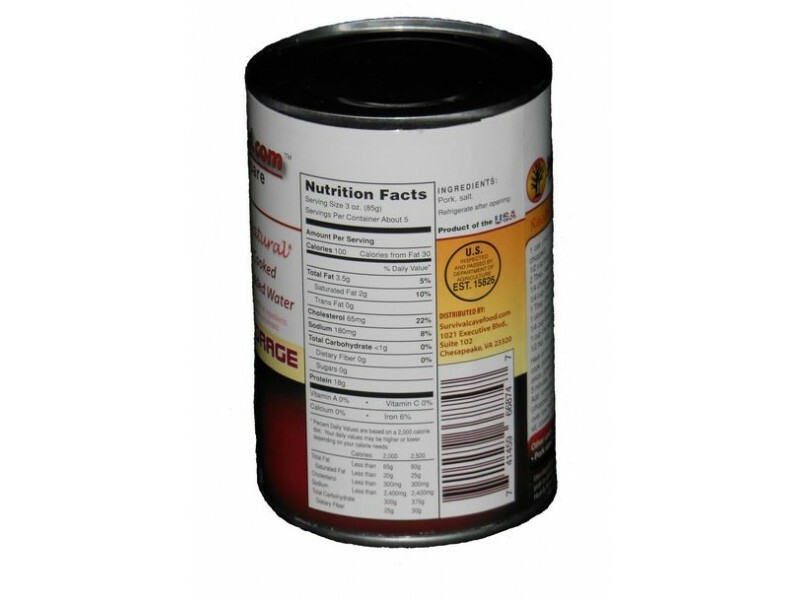 Our canned storage meats are all natural and don't contain any MSG, additives, fillers or chemicals. There are low in sodium, lower in fat and wholesome for your loved ones. USDA inspected Survival Cave Food canned meats are merely produced using 100% USDA inspected meats. Many other canned meats are foreign meats or state they are prepared in the United States although the meat actually comes from other countries around the world and are simply packaged in the united states. We merely use 100% United states of America meats! How long will this canned meat last? Each of our canned meats are prepared in a very different manner than most canned meats in the market. They're slow pressure cooked at a surprisingly low 240 degrees and have absolutely NO EXPIRATION date. A suitable life expectancy is about 12 -15 years however, many people today think it might possibly last 30 - 35 years or even longer.